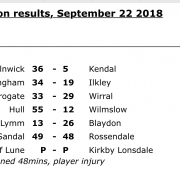 Seeking to end a miserable 7 game losing run Blaydon ran in 3 early tries and were in the ascendancy for long spells only to finish up in danger of losing out in the dying seconds. With 4 minutes of normal time remaining their previously solid scrum began to take in water and conceded a push-over try, and then in the most tense finish imaginable were desperately defending their line in 6 minutes of time added on. But they survived, Sheffield knocking on in the final play, and the 5 point win lifts them off the bottom and with improved prospects of survival. “We opened them up a couple of times and left 4 or 5 tries on the field” said Head Coach Matt Thompson, “We put the game to bed with 20 minutes to go and it was our own doing that we were under pressure – it was a last gasp effort that got us over the line”. The start could not have gone better. Sheffield kicked off, Blaydon found touch and won the line-out against the throw and moved in cross-field. Dan Marshall broke from half-way to race into the 22 and move it on to Nathan Bailey who drew his man and sent in Jack Appleton, and only 70 seconds were on the clock. Joe Whyman saw his conversion attempt rebound from an upright but made no mistake 6 minutes later when Thompson crossed from close range. In their first attack Sheffield pulled back a try through winger Gareth Morley but Blaydon were over again on 17 minutes when Marshall from nowhere raced in under the posts. By the interval Stephen Depledge had scored a typical scrum-half’s try for the visitors to make it 19-12 and then put over a brace of penalties soon after the restart. 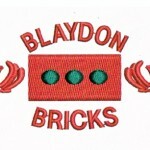 Blaydon however pressed on and on and were rewarded when Bailey stormed into the 22, leading to Andy Miller diving over in the corner for the bonus point try. They mounted more pressure 9 minutes later until Appleton, who had started it all, scooted in for try number 5. 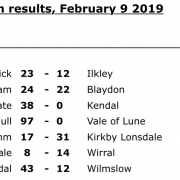 At 29-18 that should have been that but Sheffield, who are in just as much danger near the bottom, came fighting back to force a fantastic and memorable finale.